Our range of products include fosroc auramix, fosroc nitocote sn522 (20l), fosroc brushbond rfx grey(20.08kg), fosroc nitobond sbr latex, auramix 350 qcda 1099 and fosroc renderoc plug. 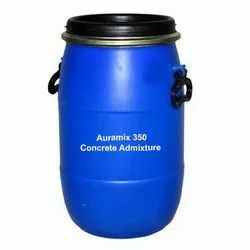 Auramix 350 is a high performance super plasticizer suitablefor low and high grade concrete and intended for applicationswhere high water reduction and long workability retentionsare required. 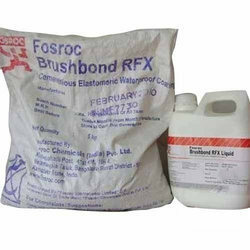 Brushbond RFX is an high performance elastomeric cementitiouscoating used for waterproofi ng and to protect atmosphericallyexposed reinforced concrete structures from attack by acidgases, chloride ions, oxygen & water. waterproof plasters for masonary and slurries. Usage Long work ability retention concrete. High Performance PCE based Auramix 350 Concrete Admixture for wide range of concrete grades. For the rapid temporary patching and plugging of concrete segments, concrete & brick tunnel linings, sewage systems,below ground access chambers, pipes, basements, foundations and mines. 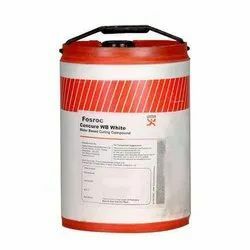 For spraying on freshly cast concrete, or newly exposedconcrete surfaces after removal of form work, to form atemporary membrane which will retain sufficient moisturefor effective curing to take place. 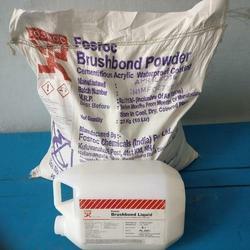 Justifying our reputation in this market, we are readily immersed in the arena of offering to our patrons a broad consignment of Fosroc Brushbond. 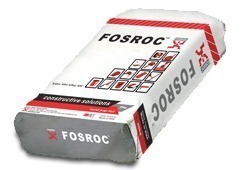 Fosroc Waterproffing Chemical is formulated to be mixed with cement on site or simply brush applied over concrete or masonry surfaces to provide an effective waterproof membrane. Crystal Enterprises began its journey in the chemical industry as a noteworthy trader and wholesaler of high quality and cost-effective products with specialization in Construction Chemicals. Offered range of products is procured and processed through various technically advanced methods. We keep high industrial standards and safety measurements that are required to obtain and process offered products. It reflects our commitment to provide products which are quality assured and fairly priced. Emphasizing on various industrial needs, we reshuffle and expand our product lines to address each client’s specific demand. 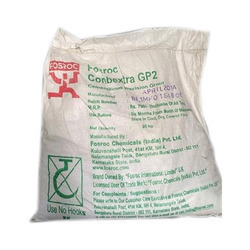 Conbextra GP2 is used for precision grouting where it is essential to withstand static and dynamic loads. It can also be used for anchoring a wide range of fixings. These include masts, anchor bolts and fence posts. 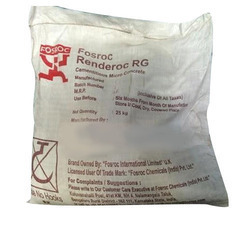 Renderoc RG is used for repairs to damaged reinforced concrete elements, particularly where access is restricted and where vibration of the placed material is difficult or impossible. It is suitable for various structural strengthening measures such as encasement build-ups, jacketing etc. water tanks, sumps, drains etc. 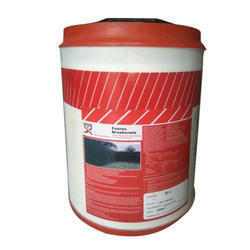 Advantages „ Liquid admixture: Instant and complete dispersion throughout the mix. Uniform waterproofing throughout concrete matrix. Improved workability: Improves compaction of concrete and mortar, even where harsh sands or aggregates are used. „ Improved concrete quality : Minimises porosity and honey combing. Produces dense homogenous concrete. 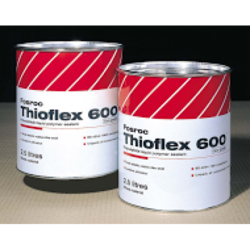 Thioflex 600 is a two part sealant based on a liquid polysulphide polymer. This is available in two grades Gun grade and Pourable grade. Thioflex 600 PG is a Pourable version designed for use in horizontal joints. 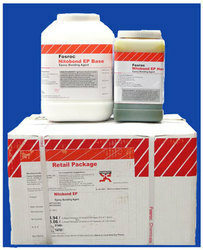 Adhesion is excellent to most common building substrates. The product is particularly recommended for sealing horizontal structural expansion joints in most civil engineering structures like building superstructures, subways, basements, floors and reservoirs. High resistance to ageing influences, physical damage and climatic extremes. Rapid strength gain — will generally accept traffic in 2 hours. Can be applied in uniform thickness to horizontal and vertical surfaces. Develops excellent bond to most building materials. Improves mechanical & physical properties of the coating system when used in conjunction with cement. Reduces or prevents salt penetration into concrete. 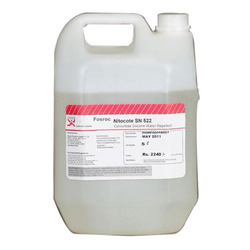 Resistance to ultraviolet light or by chemicals ranging from mild acids to strong alkalies. Is highly impermeable in continuous wet condition. Is non-flammable and does not give off toxic gases, when exposed to fire. Brushbond TGP* crystalline waterproofing system is used for waterproofing against the positive or negative sides of hydrostatic heads of water, for dampproofing, repairing cracks, plugging holes, sealing wall - floor joints and stopping active leaks in a wide variety of condtions including Sewage treatment and water treatment plants, tanks, foundations, tunnels and manholes. Terrace garden, balconies, sunshades etc. Roof and Sunken slabs Industrial and office buildings Reservoirs, water holding structures etc. 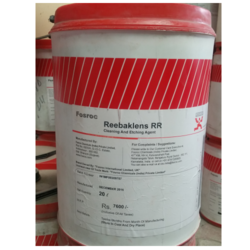 Reebaklens RR is used as a rust remover from steel bars prior to encasing in concrete / microconcrete. It can also be used on ohter steel surfaces prior to coating with epoxy systems. Advantages Rapid action Safe with metals (except zinc and galvanised steel), wood, glass, plastic and rubber. 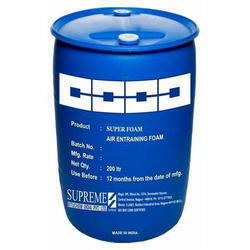 For bonding fresh wet cementitious materials to existing cementitious surfaces. For use on horizontal or vertical surfaces where mortar or concrete can be supported by formwork. The long ‘open’ life makes it suitable for use with formwork or where additional steel reinforcement has to be fitted. The product is ideal for roads, bridges, pavements, loading bays and factories, and for bonded or granolithic floor toppings. 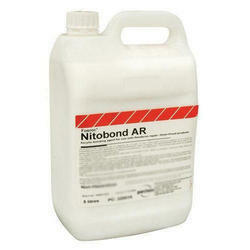 Nitobond EP is equally suited to internal and external applications. Nitobond EP may also be used as part of a repair system where a substrate/repair barrier is required or where the substrate is likely to remain permanently damp or wet. 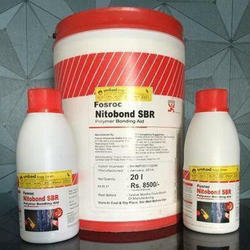 We have carved a niche amongst the most trusted names in this business, engaged in offering a comprehensive range of Fosroc Nitobond SBR - Bonding Agent. 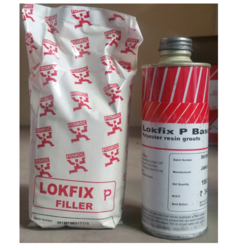 For modifying and improving bonding of fl oor toppings, renderings and mortars; repair of worn, damaged and spalled concrete, repair of large cracks; polymer modifi ed fl oor screeds; waterproof plasters for masonary and slurries. 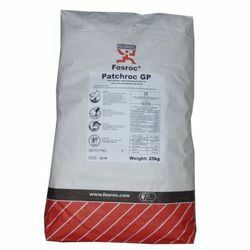 Improves durability -Gives weather resistant mortar with improved impermeability to chlorides and other harmful agents. 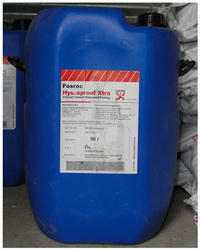 Reduces permeability- Provides waterproof screeds, plasters and permeability slurries. Increases strength - Improved tensile and fl exural properties allow thin applications. 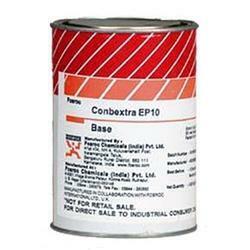 Cebex 100 is supplied as a powder admixture. The material is a combination of a plasticising agent and a gas producing expansion medium. The plasticising agent allows the use of a reduced water/cement ratio with consequent increased strengths and durability. The expansive medium counteracts the natural settlement and plastic shrinkage of the grout and aids stability and cohesion. Sufficient restrained expansion is developed to ensure a high degree of inter facial contact. Reduced water/cement ratio in the grout mix ensures low permeability and long term durability in service. High performance superplasticising admixture Uses ¿¿¿ To provide excellent acceleration of strength gain at early ages and major increases in strength at all ages by significantly reducing water demand in a concrete mix. ¿¿¿ Particularly suitable for precast concrete and other high early strength requirements. ¿¿¿ To significantly improve the workability of site mixed and precast concrete without increasing water demand. ¿¿¿ To provide improved durability by increasing ultimate strengths and reducing concrete permeability. High strength, epoxy resin grout Uses Provides a free fl owing grout, for use where physical properties and chemical resistance of the hardened grout are of utmost importance. It is suitable for a wide range of heavy duty applications including : n Underplate grouting to substantial structural elements. n Base plate grouting in dynamic load situations such as turbines and other reciprocating machinery. n Heavy industrial applications in steelworks, refi neries chemical plants and electroplating works. n Structural infi ll where very high strength is required. n Rail track applications, to support heavy cranes, or on transporter rails. Advantages n Excellent durability - high compressive, fl exural and tensile strengths ensure a long working life. n Cost effective - high early strength gain promotes minimum downtime and early commissioning of plant. 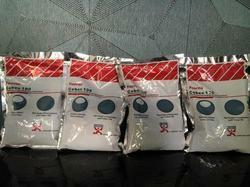 n User friendly - simple, full pack mixing to ensure that the performance characteristics are achieved. n Versatile - suitable for a wide range of loading situations including repetitive dynamic loads. n Excellent in service performance - non-shrink capability ensures full surface to surface contact.